Classroom Free: Playing catchy uppy! It's been a pretty good week all in all. On Wednesday we had a lovely slow start to the day. I had made a conscious decision to no longer stress about time and hurrying. So often on group days I'm rushing around getting everyone up and ready, whilst trying to ensure the house is kept tidy and we've cleaned up before we leave. Husband is often home before us on Wednesdays and although he would never complain, I can't help but think how I would feel if I returned home from a full day of work to find the house in a mess and floors and dishes in need of washing. With all the nagging and general rush rush busy-ness, I usually end up feeling flustered, deflated and annoyed. I try so hard not to. I try so hard to be the kind of free spirited mother who just goes with the flow totally relaxed. I will be that calm and pleasant to know even in a hurry mama one day, I will! I have already improved a little bit. I'm starting to slow down and consciously give myself time to really think before creating issues and bad feeling. 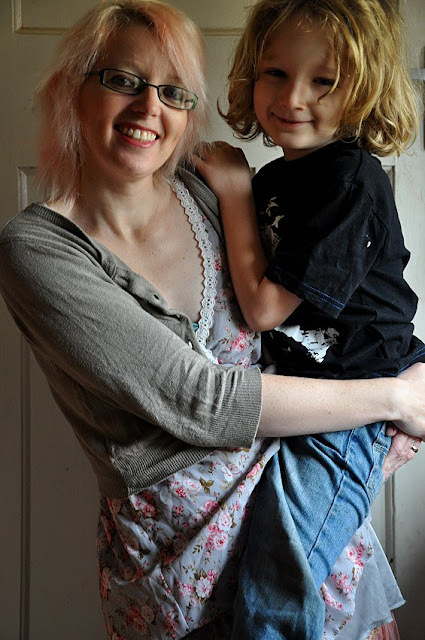 Look, I even took the time out to have a cuddle before we left with Callum (now a not so light to carry 6 year old). We finally got around to visiting Exeter Museum for the first time since it reopened in December, and it strangely felt like we were visiting old friends. It had been closed for a long time (4 years?) and the kids have really appeared to have missed the place. We literally only had half an hour or so to waste before home-ed group, so I don't really want to comment in depth on our first impressions as that would be unfair. What I will say though is that I did find it difficult to navigate around (although I know we should have used a floor plan to assist with that). I didn't much like the way things were categorized into eras as opposed to content. 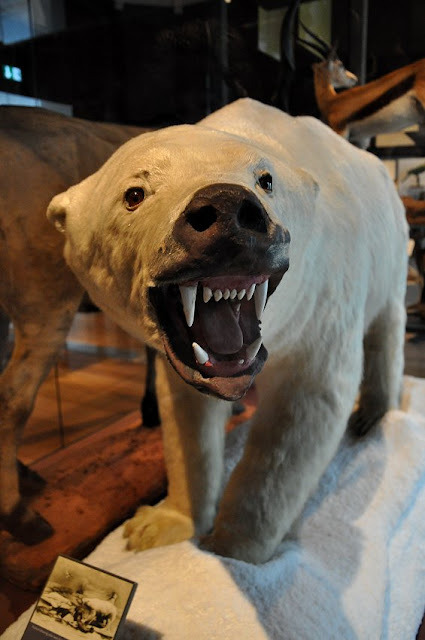 The way the museum used to be set up seemed much more child friendly. The children knew exactly where they wanted to go - usually to the room with the stuffed animals. 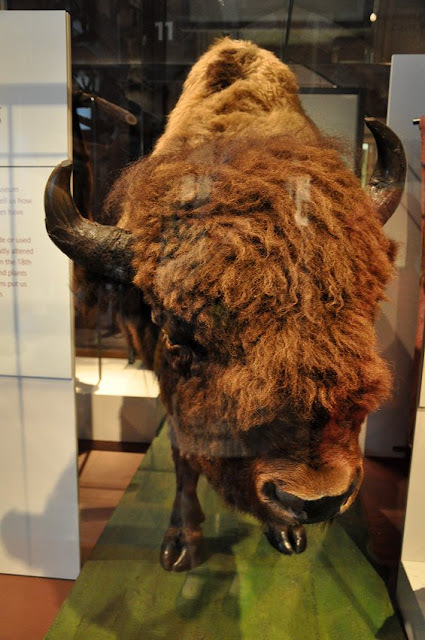 Now though things are dotted around in various rooms, and we missed some of our old favourites (these may have been absent, or just not seen on our short visit). But alas, it has to be said we were very disappointed by the "Gerald" display. 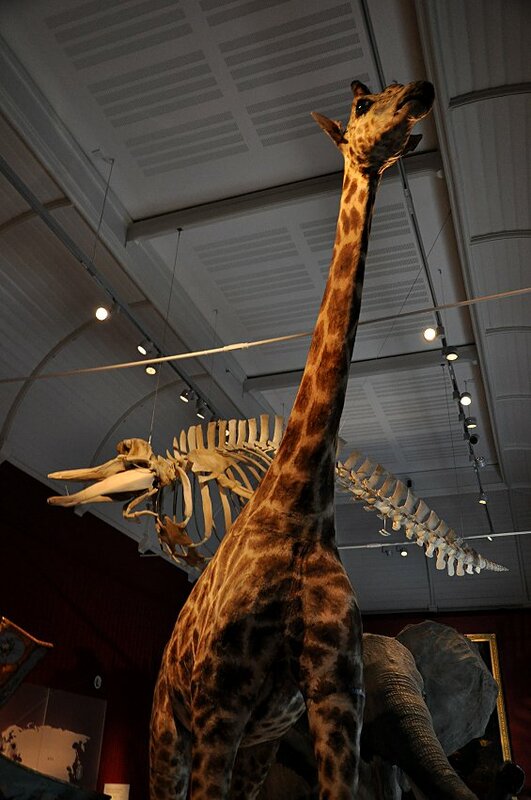 Gerald the Giraffe is such an icon of the museum, and has always stood oh so very proudly all by himself, with head and neck standing proudly above all else. 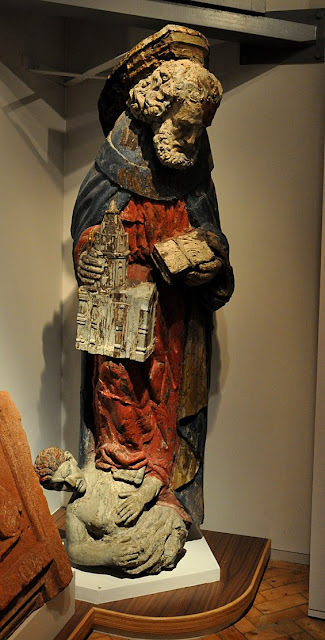 You could really get a sense of his grandeur and immense size as you climbed stairs and were greeted by the head of Gerald as you walked around the second floor gallery. Now though, dear Gerald is plonked beside a bull elephant and a very pretty floral piano - with a whale skeleton above his head. He may well enjoy the luxury of having company, but for me it just seemed odd. The home-ed group in the afternoon was pleasant as always. Fortunately the weather was dry and Taisia is still absolutely loving the freedom her feet are giving her. It does make things, erm, shall we say interesting at the group. I am constantly on my toes trying to watch where she is going and what she is attempting (that girl she has no fear!) whilst staying alert to the whereabouts of the four others. Unfortunately, I drove home with yet another headache. I don't know what it is about Wednesdays and the group that isn't suiting me, but it seems to be quite a regular occurance. I'm thinking it could be the pressure of the "not able to relax for 10 seconds" thing. With the drive there and back it means full concentration for around 5 hours solid. Joseph has been a bit unhappy at the group for a while too so I think worrying about him may have something to do with it. I'm not really sure what to do, but possibly taking a short break from group stuff might be on the cards. This morning we headed out to pick them up. We ended up with three instead of the planned two as I didn't want to leave one alone - I'm such a softie, but also a fairly knowledgeable "ratty person" who is fully aware that a single rat equals an unhappy rat in the majority of cases. 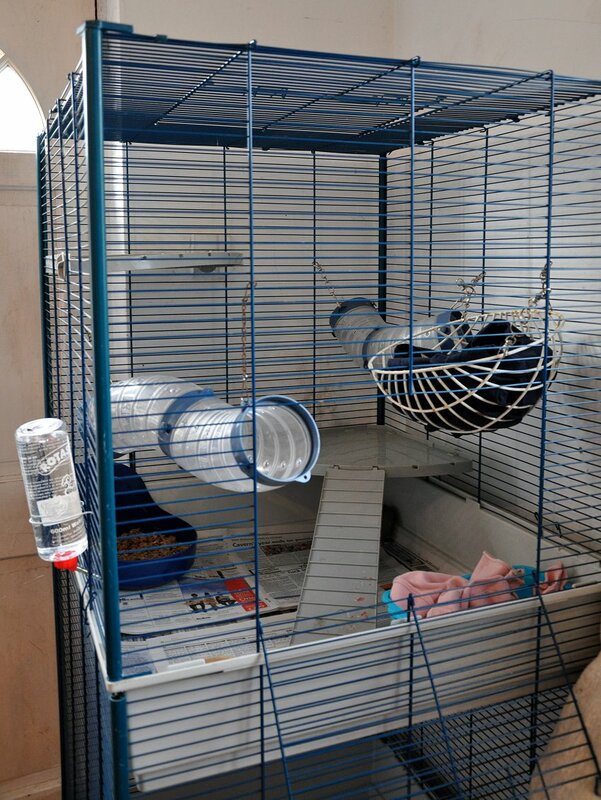 I don't want to preach, but please please please bear that in mind if you want to keep rats as pets. They are incredibly social animals and thrive on company - humans just can't replace cage mates no matter how much time you can spare to spend with them. Our 3 new babies are very similar looking, so it will take a few spot the difference games and close-up studying to ensure a fail proof way of telling them apart. We have named them Rupert, Jasper and Noodles - yes, they are boys, we love cuddly boys! Sometimes, they like to snuggle and hide a little, but they do enjoy scritches by gentle hands. Sometimes they just look heart-meltingly cute. I repeat, sometimes they just look heart-meltingly cute. Sometimes they pose ever so nicely for photographs. Sometimes they are just too darn quick! 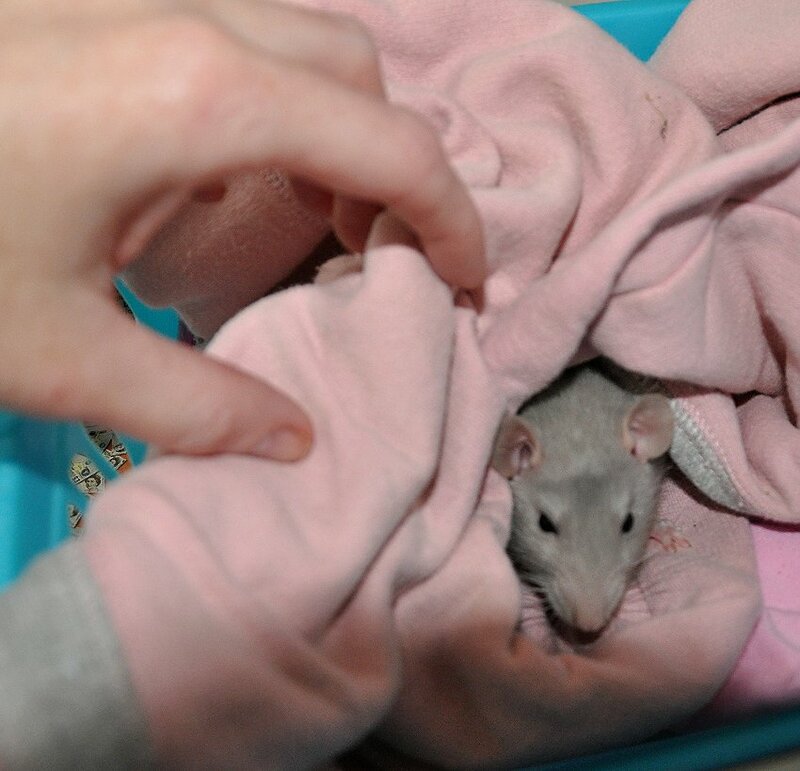 I can't begin to tell you how joyously filled my heart is to have ratty members of our family once more. 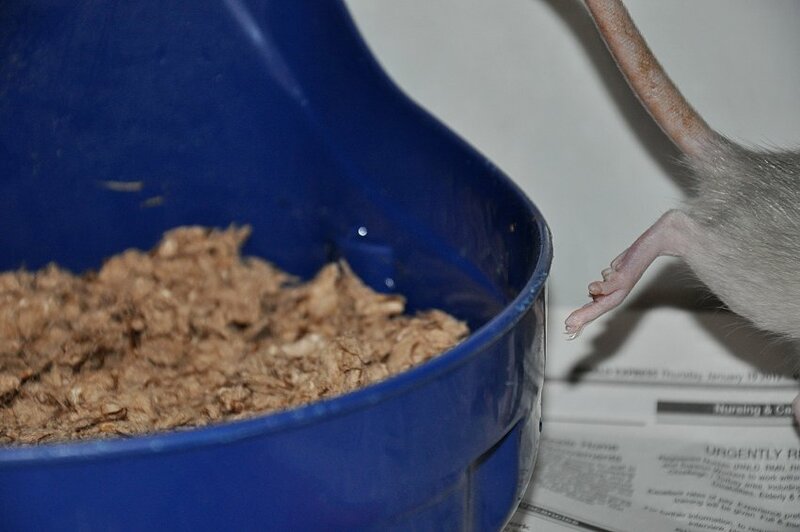 Those that have been long-time blog readers will know that rats used to be a large part of our lives, with us taking on small scale rescue duties and having up to 18 rats at a time. My day has been busily taken up with settling in the new fellas and mixing up their food mix. I don't feed an off the shelf ratty food, preferring instead to make up my own. It currently consists of a base rat food, dog kibble, pasta, brown rice, weetabix, cornflakes, and egg noodles. I will also supplement their diet with fresh food every day. Very often they will get a small sample of what we are eating if suitable. 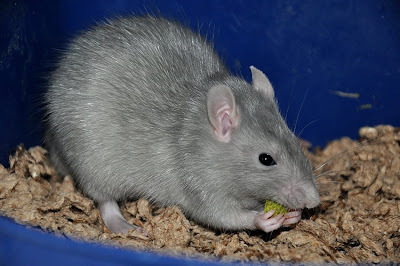 If you have fallen in love with these guys and are considering buying your own, I would implore you to buy from a reputable breeder and not support the pet shop trading in animals. If you wish to know why my feelings are strong on this, please contact me for more info. 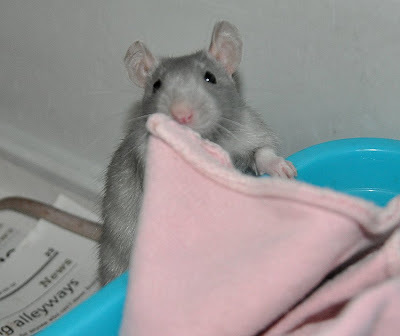 http://www.fancyratsforum.co.uk - I am on there as Devonbunny. I am looking forward to free-ranging the boys, creating hammocks and toys for them, and coming up with new play and food ideas. Just like the old days! 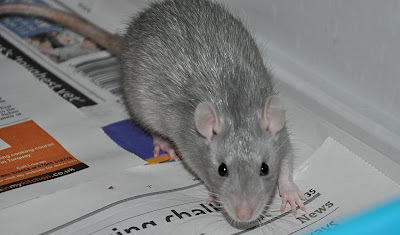 The children have already asked if they can do a project on Rats - so they are going to be an educational source too! ohhhhh how cute!! we currently have wild ones (HUGE) under our shed and they have made a run in to the chicken coop! pinching their food! Hey Rat Girl - it would be such a shame to lose you on a Wednesday - I would not like to lose touch with you, so maybe we can arrange to meet up sometime/go somewhere?? Yeah, I reckon that concentrating from the moment you leave home til the moment you come back is enough to give anyone a headache. You need down time! Ahh, your rats are so cute! I've never seen rats that colour before! I recently discovered your blog and have found it really fascinating, especially as I am considering home-schooling my 9yr old. I used to spend the summer hols in Devon as a child as my grandparents lived in Exmouth, and I remember seeing all the animals in Exeter museum too, so that brought back some happy memories! Julia, I have found that home ed groups don't really work for us at the moment and haven't done for some time. It is nothing personal but just changing family dynamics I think. 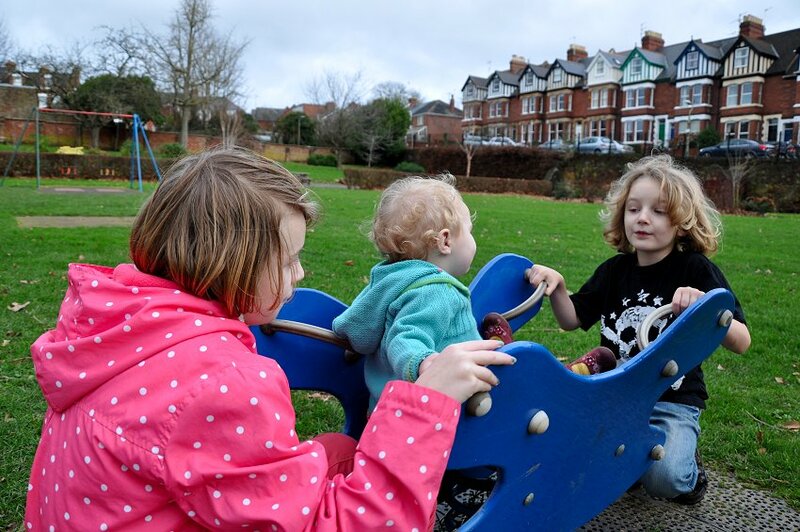 At home my toddler will sit on the floor an play puzzles happily whilst I can help out the older ones but when we meet at halls and parks it is very drainning and tiring sometimes for me - I just can't take my eyes off him for a second so I know how you feel. I like to go to groups myself for the adult social time for me - in our area (West Sussex) we hold a monthly adults evening social which works really well and might be an idea. Rats totally sweet... as long as they're in somebody else's house!!! If you've definitely linked the nasty headache thing to Wednesday HE might be worth knocking the group on the head! Couldn't resist the terrible pun. Totally sympathise with the migraines, I usually have at least one in the month. Mind you've they've changed loads they used to last at least three days, full on. Probably a strange coincidence but I've been getting headaches every time I go to my Home Ed group too!! My son, also, has been having quite a hard time and I always seem to be the one that can't relax and is keeping an eye on other peoples kids just in case they hurt themselves. I love your blog and will be following regularly! Such a lovely colour they are too!